In the cannabis industry, it seems like a new technology is released on the market every single day. For instance, when it comes to a more cost-effective way of growing indoor cannabis plants, the LEC grow lights may be the best solution. Having increased lumens per watt and a promise of improved yields, not to mention a more natural spectrum of light, the use of LEC, otherwise known as CMH lights, in growing cannabis may come with promising results. But is it really worth considering? So what exactly is a LEC light and why are these lights sometimes called the CMH or ceramic metal halide? Both terms pretty much mean the same thing. And as the awareness over the technology rises, the terms have become interchangeable. Basically, the LEC light makes use of a ceramic arc tube instead of the quartz version that’s commonly found in the regular MH lights. This results in a more natural color, which produces more lumens per watt and is expected to last a whole lot longer. The most common model of the LEC is the 315W, which comes with a 4200K-color bulb. Enjoying a stiff competition with the LED, which is a seemingly all around lighting solution, how does a LEC light benefit you when it comes to growing cannabis? For a start, the color of the light that the LEC produces is far more natural. As a result, it will be easier for you to view the natural color of the cannabis all throughout its entire lifecycle. This might seem unimportant, however, it can be vital in noticing how well your plants are progressing and if there are any issues that need to be addressed quickly. 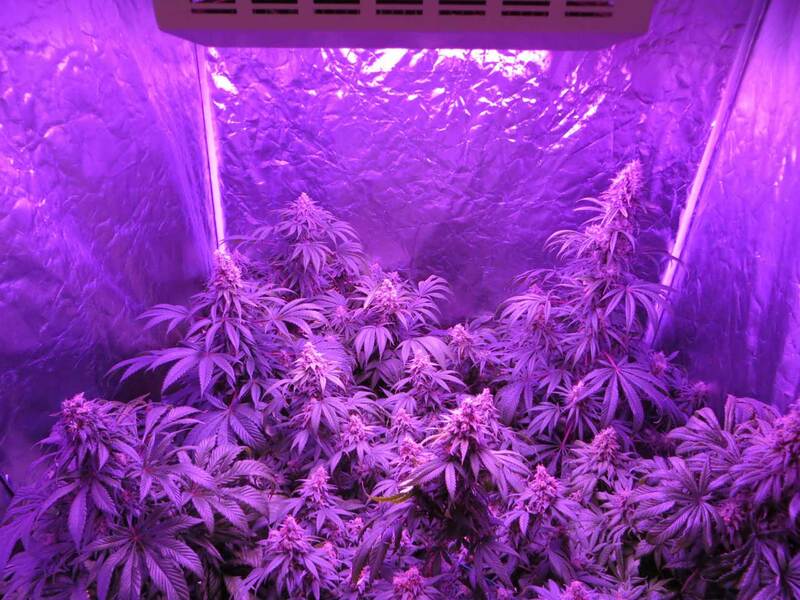 In comparison, the HPS light produces very yellow light while the LEDs typically produce purple hues. The light spectrum that the LEC produces also comes with another point of difference. LEC lights produce UVV rays, which, according to some sources, can help to improve the cannabis trichomes production during the plant’s flowering stage. Some manufacturers of the LEC bulbs have also claimed that these bulbs can last up to two years and that’s significantly longer than any other lighting options, except the LED. Like everything else, there’s not a perfect lighting solution. Thus, the LEC also comes with its own disadvantages. The UVB rays that these lights produce are said to be harmful to humans. Adequate safety equipment may be necessary in order to reduce any damage to eyes or skin. Currently, the high setup cost of the LEC can also be seen as a downside. Since the LEC technology is still new, it costs so much more than the traditional bulbs, such as the CFL, although this is somewhat seen as a double-edged sword. While the initial cost may be high, its long-term running cost is close to that of LED or HPS bulbs. Are “LEC” Grow Lights Good for Cannabis? Next PostNext Can Cannabis Be Frozen?